Recently there has been a lot of BBQ meat consumed. I mean A LOT of meat. Disgusting amounts. It was time for something lighter, fresher and less meat like – unlike the Peanut Butter, Choc Chip and Bacon Cookies I made a few weeks ago. 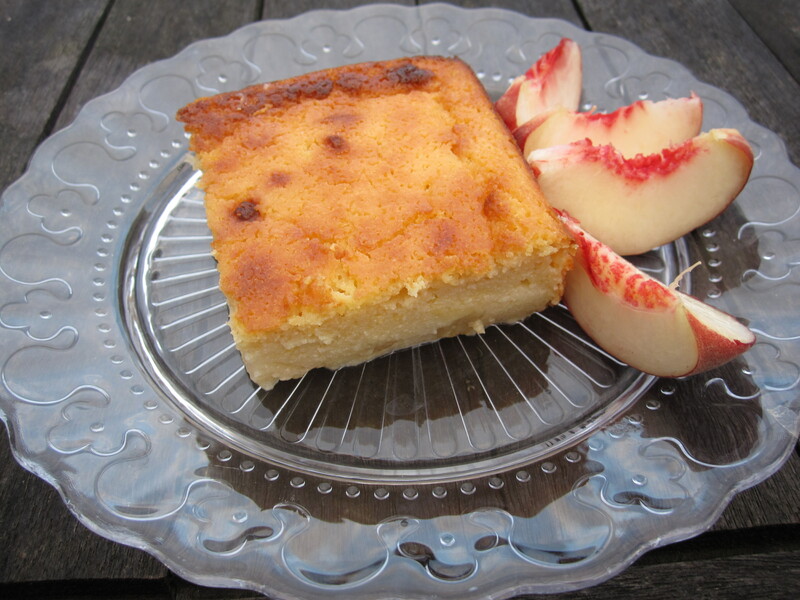 This zesty ricotta cake has a layer of blushed white peach flesh on the bottom whilst paired with the light moist ricotta sponge. 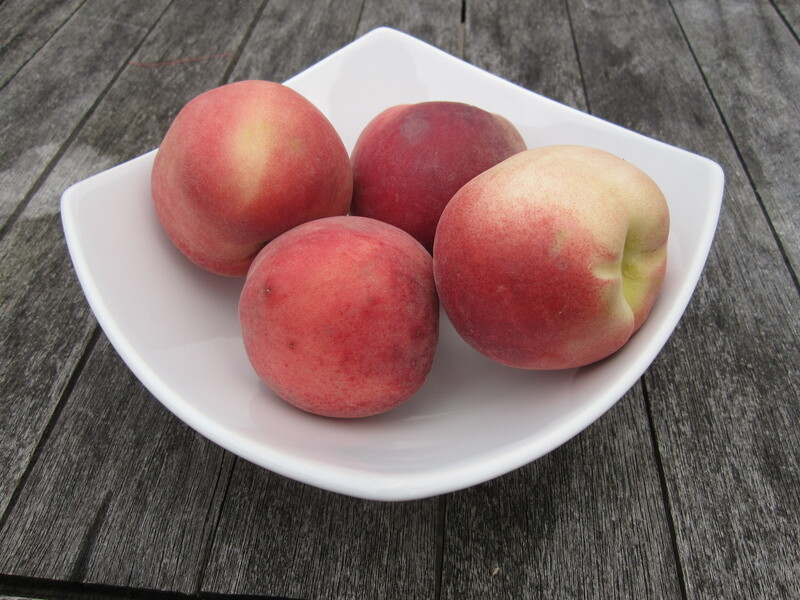 White peaches are more delicate than normal yellow flesh peaches which works nicely with the citron perfume from the fresh lemons. Perfect with a glass of crisp white wine on a summer evening. And not a barbie in sight. Oven to 190C. Butter an 8-inch square cake tin and line the bottom with parchment paper. Layer the diced peach on the base of the tin and sprinkle over the brown sugar and set aside. Whisk together flour, baking powder and salt, and set aside. In the bowl of a stand mixer fitted with the paddle attachment, beat the butter and sugar at high speed until it is light and fluffy. Turn down the speed to medium and add the eggs yolks, ricotta, lemon zest and juice and mix until smooth. Add the flour mixture and mix on low speed until just combined. In a separate bowl, whisk the egg whites until soft peaks form. Gently fold the egg whites into the batter.Pour the batter into the prepared cake tin on top of the peach cubes and smooth the top with an offset spatula. Bake the cake for about 40-45 minutes, or until a toothpick inserted in the center of the cake comes out clean. Allow cake to cool in the pan on a wire rack for 15 minutes, then carefully invert onto the rack to cool completely. 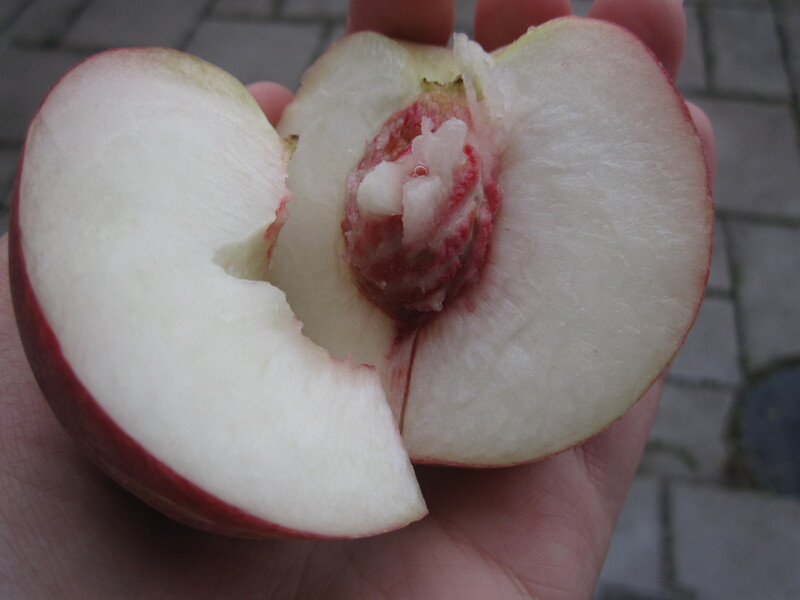 Serve with fresh slices of white peaches and wine, definitely serve with wine.